Can you be a backpacker and still have green beauty products? That was the question I asked myself before I came travelling. Eco products aren’t exactly known for being the cheapest and can be hard to get hold of depending on where you are. To get out into the world and investigate for all the eco-conscious adventurers out there. After all, it’s a team effort in the fight to save the planet and animals. And low and behold, I found some real gems (with minimal effort) during my travels to keep any green-minded explorer happy. Hooray! 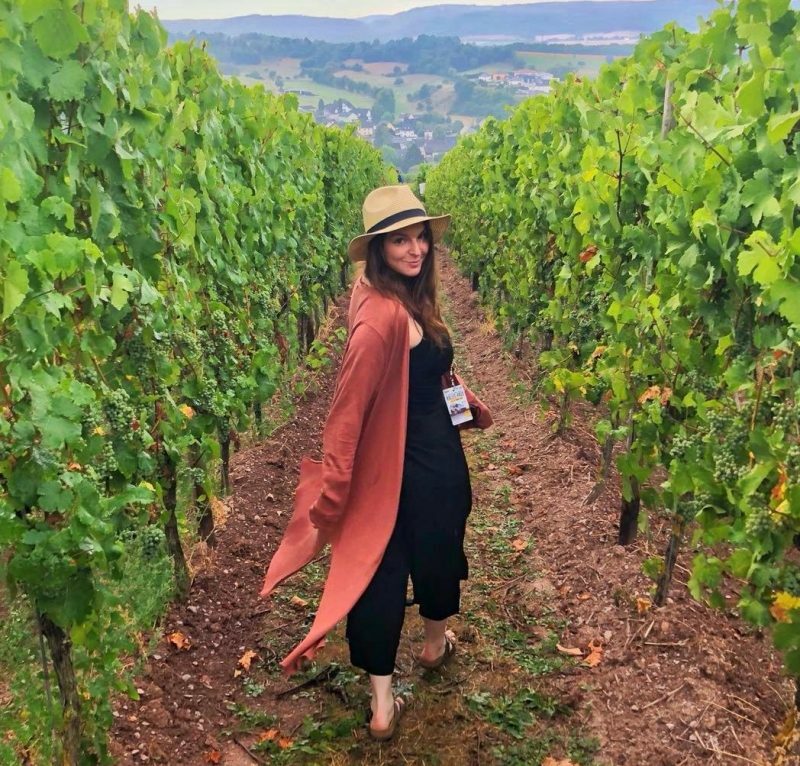 So here is my list of the green beauty products I couldn’t live without during my Australia and New Zealand travels. The Ecostore Volumising range was my favourite. 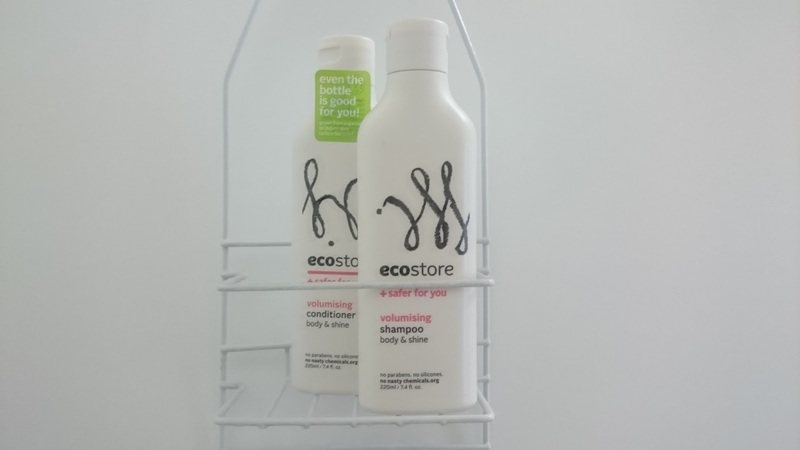 I only found out about this brand when I was half way through my Australia trip but I’ve been in love with Ecostore products ever since. What I love about this brand is that they are big on reducing their carbon footprint and even make an effort to make their bottles out of renewable sugar cane plastic! The plant based, vegan and cruelty-free ingredients are great for any ethical, beauty-loving backpackers. Even though the 220ml bottles look small, these two have lasted me over two months, even with my very frequent hair-washing routine! Available in Woolworths stores across Australia and Countdown stores across New Zealand, it isn’t hard to come across this great brand. Visit the Ecostore website here to shop and find out more. 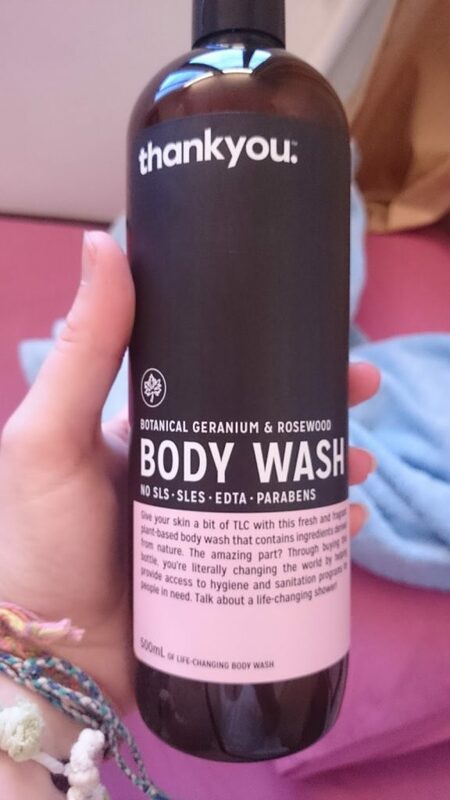 I’m a big believer in having a good shower gel to hand when travelling. It is up there in my most important beauty essentials to make me feel better after a long flight or road trip. So I introduce this bottle of pure shower happiness to you all. This wonderful stuff ticked all the boxes for me. Animal friendly, check. Vegan friendly, check. Ethical brand, check. The only downside is that this 500ml bottle isn’t exactly travel friendly size. However if you can fit it in your rucksack then I urge you to try it. It’ll last for a long while and the smell is devine! Thankyou products (including a variety of body and hand washes) are available in most pharmacies and Coles stores across Australia. Visit the Thankyou website here to learn more about their approach to combating poverty with their products. I was in complete shock that I had come across a deodorant that was natural AND not tested on animals outside of a Lush store. For anyone who is unsure on natural deodorants, it’s important for me to add that I didn’t hold back when testing this one out. I put this stuff to its ultimate test by using it in the sticky, sweltering heat of Bangkok, Thailand. I was thoroughly impressed with how well it worked. It lasted mostly all day before, like any perspirant, (natural or not) it needed re-applying on to clean skin. It doesn’t leave white marks on my clothes or leave a sticky residue on my underarms when washing it off. 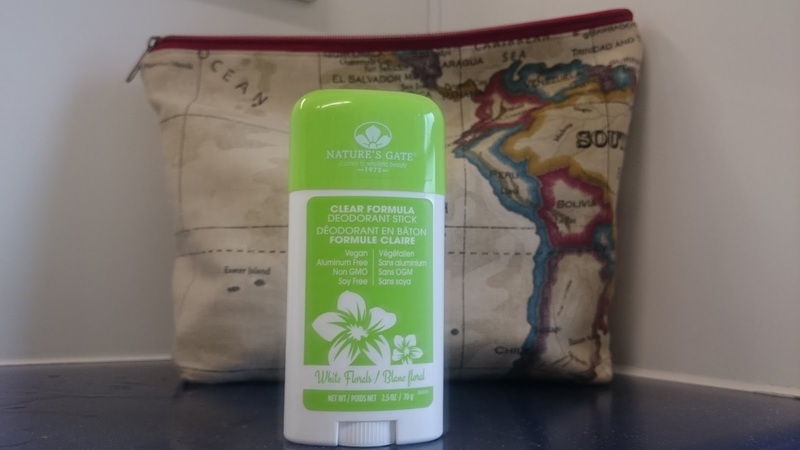 Lastly, I loved the fresh, floral scent and the convenience of a smaller deodorant bottle while travelling. And there you have it! My haul of green beauty for busy, eco-conscious backpackers. Proof that ethical can be achieved on the go!